The Most Technologically Advanced Production 50-Footer, Ever. 40,000 years of boat building led us here. Top speeds of 46 mph. The ability to take on 21-foot waves. World-class onboard stability technology that eliminates 90-percent of roll. With standard twin IPS 600 is 32.5 knots or with triple IPS 600: 40,3 knots. 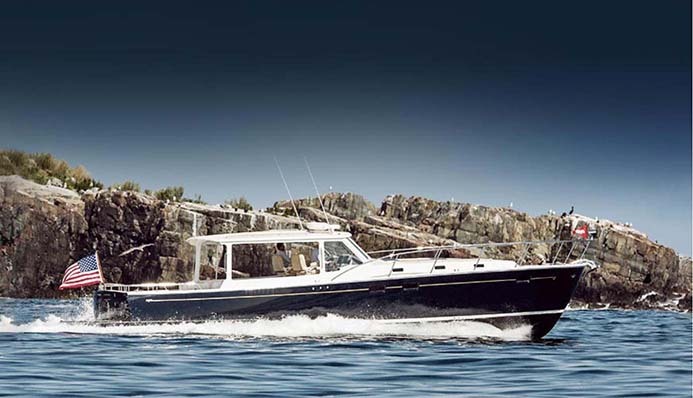 Built in Boston, Massachusetts by Boston BoatWorks, the 50z is a game changer – high-tech construction, best-in-class fuel efficiency, solo docking and unprecedented stabilization. Constructed and closely inspected by highly-trained boatbuilders, each yacht is then sea trial tested in the Boston harbor for zero defects. Made of the best epoxy composite in the industry, Kevlar, E-Glass and Corecell, the 50z is lighter, faster and more durable. See how in this video. Feel the thrill of driving a highly maneuverable boat that lets you skip around the harbor in style. Three IPS pod drives totaling over 1300HP push the 50z to 40 knots. 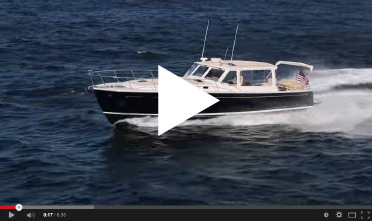 The 50z is perfect for the choppy waters of the Great Lakes as well as the open seas. Its unique hull design makes it able to withstand 21-foot waves at high speeds and remain stable. Its wheel response is immediate for easy operation. 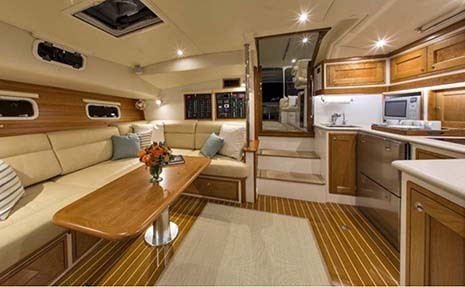 Conceived by renowned yacht designer Doug Zurn, the 50z is a step forward in modern elegance with superior handling and stability, unlike top-heavy, lumbering yachts. MJM yachts are the lightest and strongest in their category. The 50z holds the distinction of one of the few vessels its size to be certified by the International Standards Organization (ISO) CE Mark as Category A Ocean, the highest certification possible. The 50z is the first yacht ever to feature the Seakeeper Gyro Stabilizer, the world leader in boat stabilization technology. By creating 8,000 RPM of inertia, the Gyro Stabilizer eliminates up to 90-percent of boat roll. 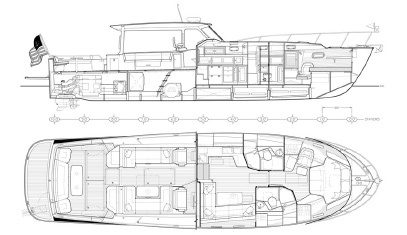 A modified deep-V hull allows instant response to the helm without bow steer or bury in large waves. Cruising at 35 knots at only 0.7 nautical mile-per-gallon,the 50z has the same efficiency as other boats get at 25 knots. 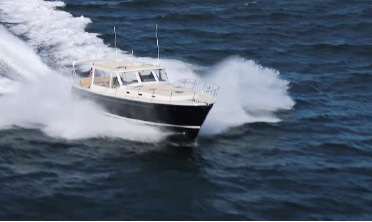 At trawler speed of 7-8 knots, 50z burns 2.5 gallons per hour for a range of 1400 miles on a single tank of fuel. With a bridge deck the size of a 65 foot motoryacht, the 50z’s main deck lets you stay topside with the same all-weather capability of a custom flush, air-conditioned, upper flybridge deck of larger motor yachts. From a weekend trip to a summer-long voyage, enjoy a more comfortable ride with less roll and dry running. From the deck to the master suite, features are built-in to maximize space. All walking surfaces are designed for safety, beauty and easy maintenance. Enjoy single level seating for as many as 15. Two private cabins with separate private heads and showers will sleep up to six and accommodate almost anyone, from the working traveler, to vacationing families.